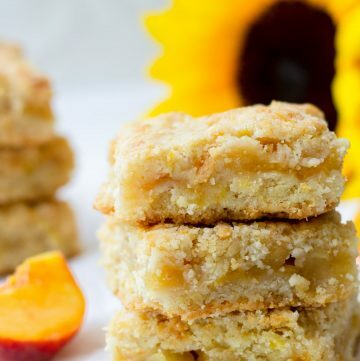 Apple cakes are pretty much mandatory during fall. 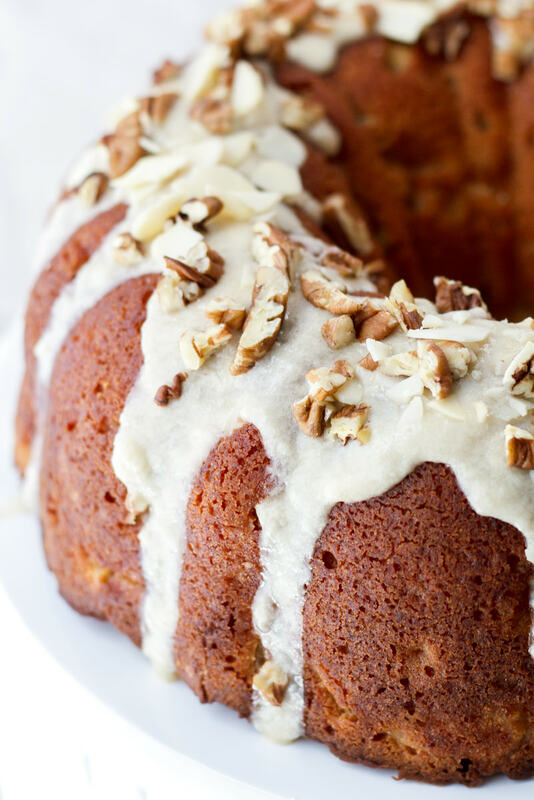 This easy Apple Bundt Cake with Maple Glaze will satisfy every apple craving this season. 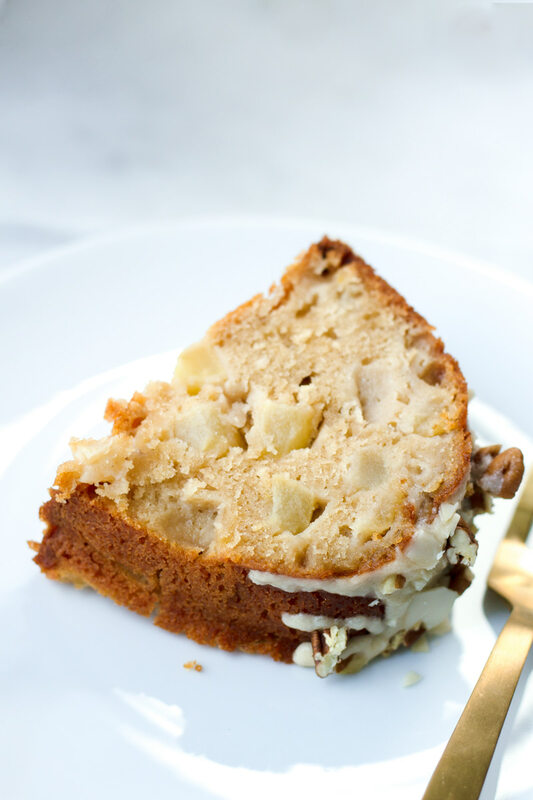 Made with fresh apples, this fresh apple cinnamon cake is just perfect for a cozy day! Fall is definitely my favorite season of the year! It’s not too hot, and not too cold yet (I live in Michigan, so my definition of cold is…like…really cold). 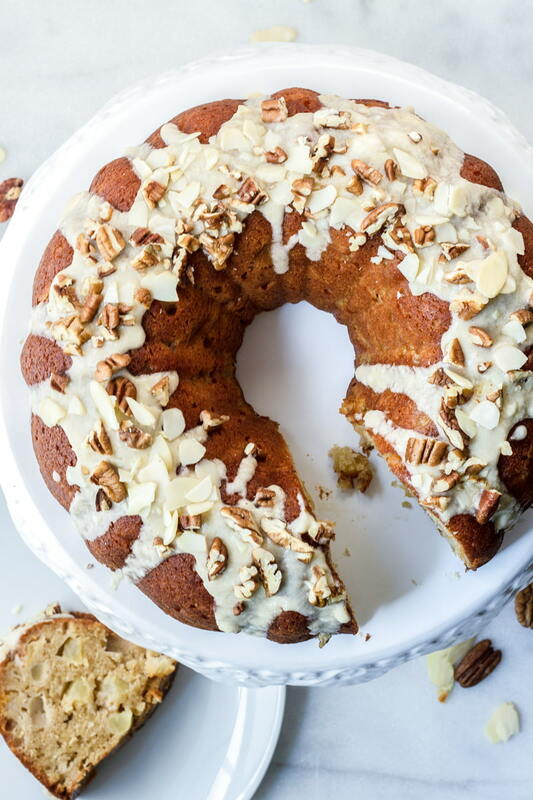 It’s just so nice to hang out at home, baking a delicious fresh apple bundt cake, watching my favorite fall TV shows, and eating that delicious apple cake on the couch with my warm blanket. Aaaaahhhh. Life is good. 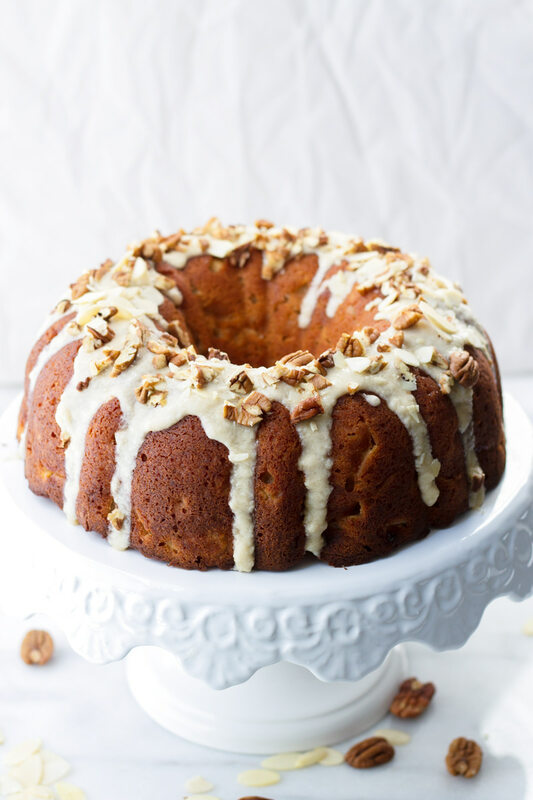 Anyways….this bundt cake. GUYS. 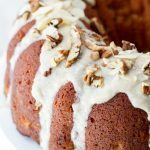 It’s a moist apple cinnamon bundt cake with a simple maple glaze and topped with chopped pecans and almonds. The batter is thick, so the apples will not sink all the way to the bottom and will also remain firm and sweet. 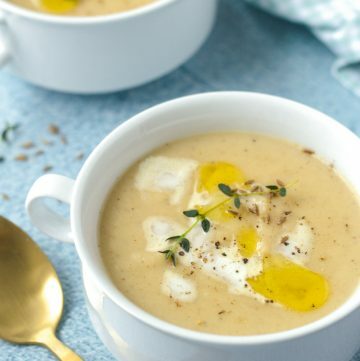 The addition of Greek yogurt makes it moist and tender. Plus, that cinnamon aroma…ahhh yes! 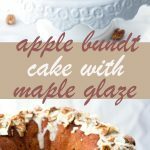 What’s in this Apple Bundt Cake? 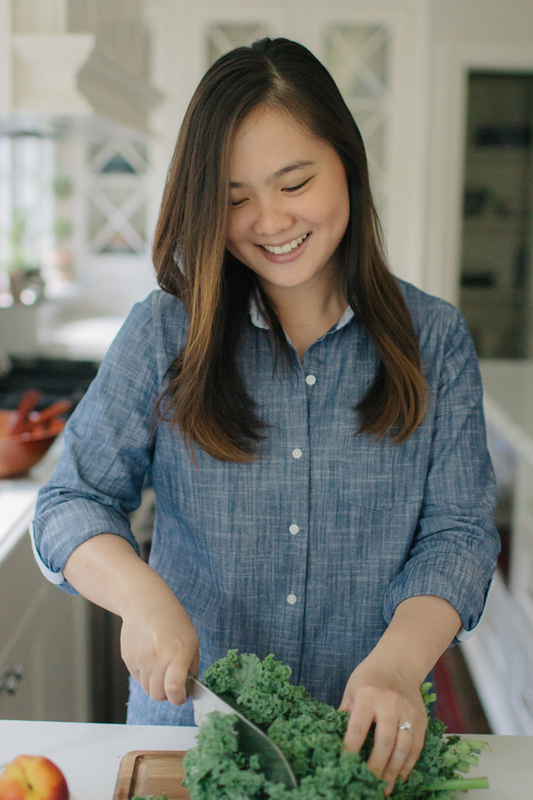 I always like to run through what’s in my recipes to give an overview, and so you can start imagining all the deliciousness. 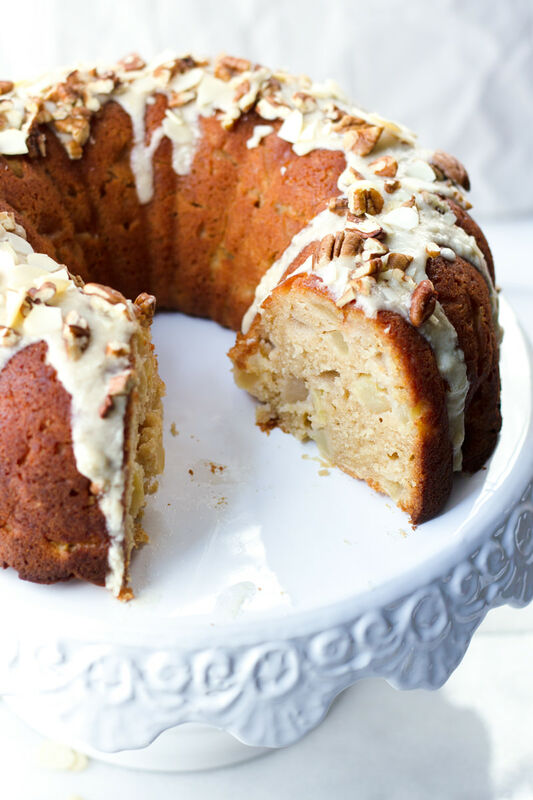 So, let’s talk about this easy apple cake! What Types of Apples Should I Use? This is a really important question! Some baked apple desserts, such as apple pie, can be either really or really bad depending on what type of apples you use. For example, in apple pies, you’d want to use firm apples that are a bit tart. Particularly for simple fresh apple cakes, it’s okay to use something sweet and firm, like honeycrisp or fuji. 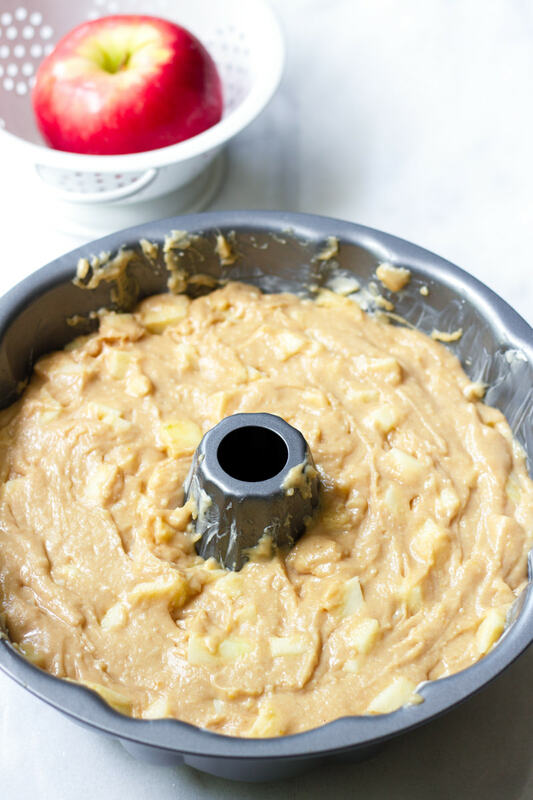 The apples will hold their shape and keep their sweet flavor because they will be “protected” by a thick yet moist batter. I would not recommend Granny Smith apples as they can be too tart and sour for this cake. First, choose your bundt pan wisely! This recipe contains diced apples, so try not to use bundt pans with intricate designs. I use the classic one. Second, dice your apples kinda small but not really. Each bite should have chunks of apple and it should be the right size for each bite. Trust me, it makes a difference! 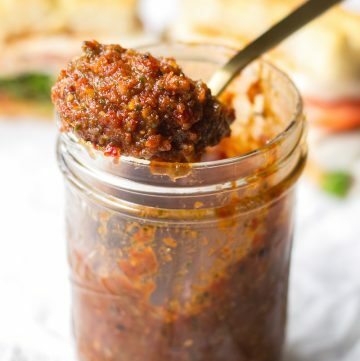 Some people don’t like to stick with recipes and prefer to add their own spin to it instead. I am all in for that! It’s just fun and exciting to test new things when baking. 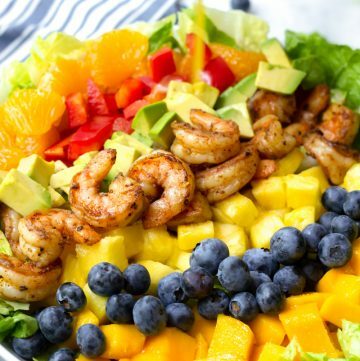 Here are some ideas for inspiration! Let me know how it turns out! It will be enough to share with friends and family. 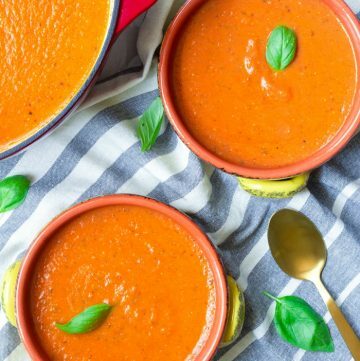 Serve with some apple cider, coffee or tea 🙂 Happy Fall! Use sweet and firm apples. I used honeycrisp apples. You can also use fuji apples. Choose the right bundt pan. Remember you’ll have chunks of diced apples inside. 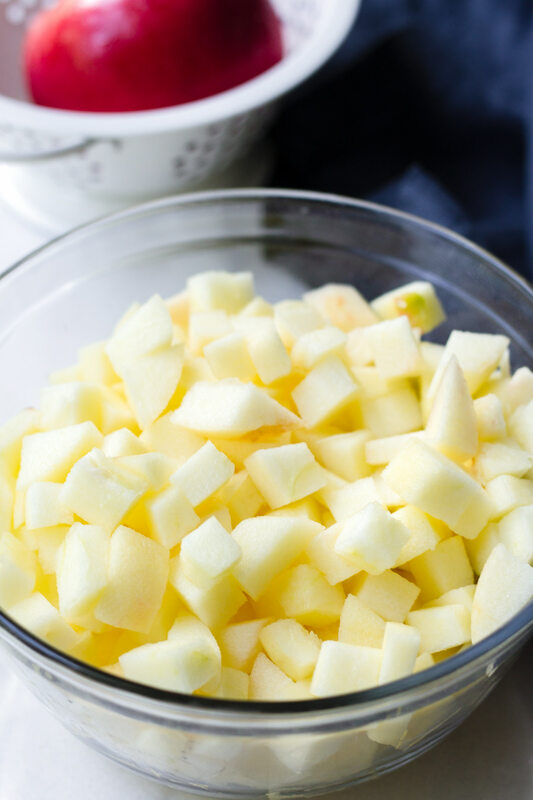 The batter is thick, which helps to hold the diced apples in place. Don’t worry! It won’t be dry. The addition of Greek yogurt, butter, and eggs keep it moist and rich. Let the cake cool completely before adding the glaze. 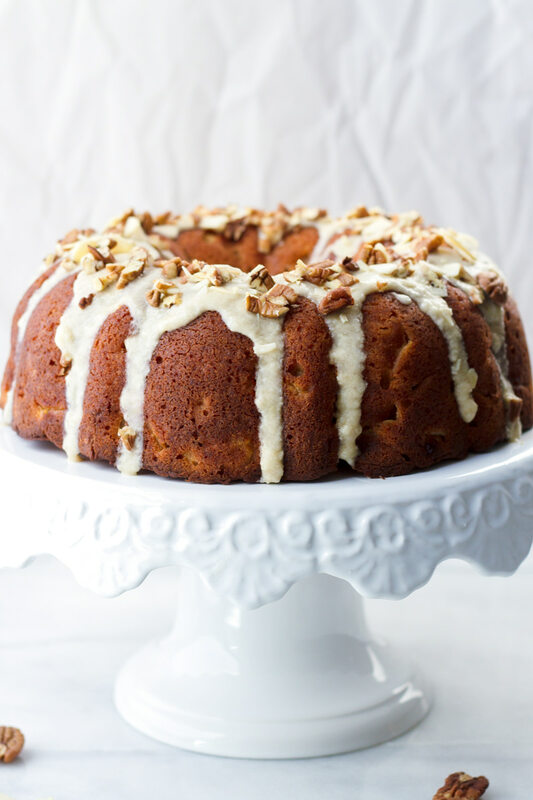 This Apple Bundt Cake with Maple Glaze is moist, fresh, and perfect for a cozy afternoon. 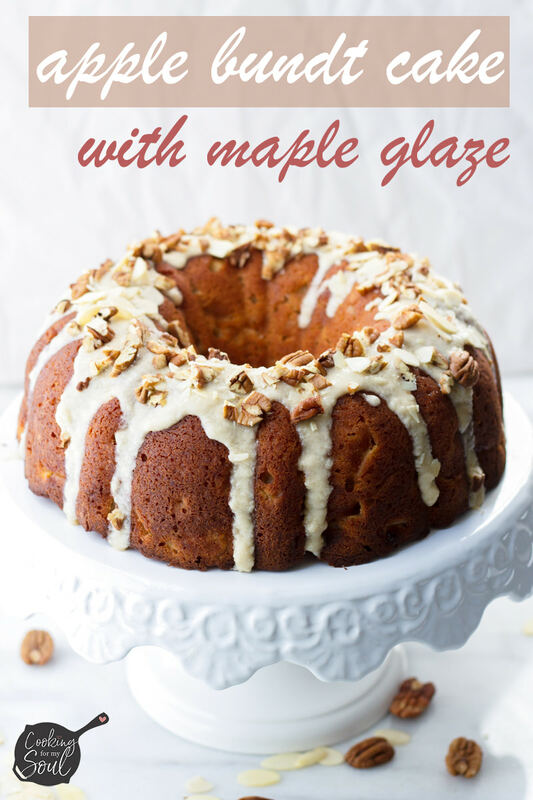 It's made with fresh apples and a simple maple glaze. Preheat oven to 350 degrees F. Grease a 12 cup bundt pan with butter. 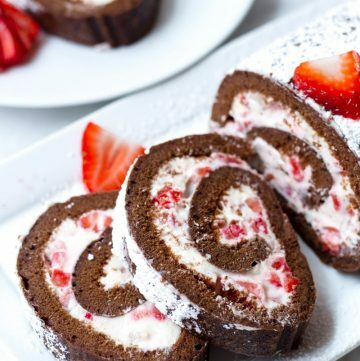 Dry ingredients: In a large bowl, combine flour, baking powder, salt, and cinnamon until evenly mixed and distributed. Wet ingredients: In another large bowl, combine eggs, melted butter, brown sugar, granulated sugar, vanilla extract, and yogurt until evenly combined and smooth. Add the wet ingredients to the dry ingredients, and using a whisk or a rubber spatula, mix until batter is combined and even, without overmixing. Using a rubber spatula, fold in diced apples. Batter will be thick. Spoon batter into prepared bundt pan and smooth the top. Carefully, bang the pan on your counter to further distribute the batter and totally fill the pan with batter. Bake for 50-60 minutes, until a cake tester or toothpick comes out clean. Let cool on a wire rack completely (don’t remove can from pan yet!). Once cooled, very carefully invert cake onto a cake stand or large round plate. While cake is cooling, make the glaze: melt butter and maple syrup in a small saucepan. Remove from heat whisk in confectioners sugar and a pinch of salt. Let it cool a bit. 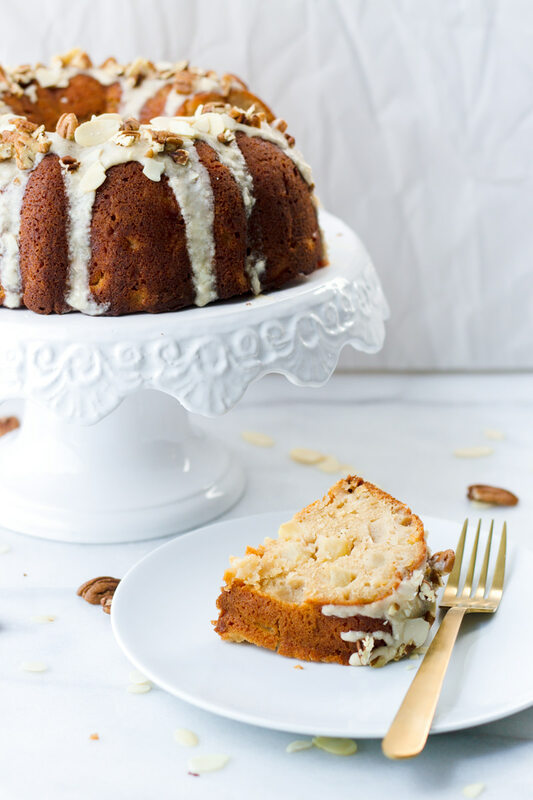 Once the cake has cooled down completely, drizzle glaze on cake, top with chopped pecans and crushed sliced almonds.